Explanation: Sometimes even the dark dust of interstellar space has a serene beauty. One such place occurs toward the constellation of Taurus. 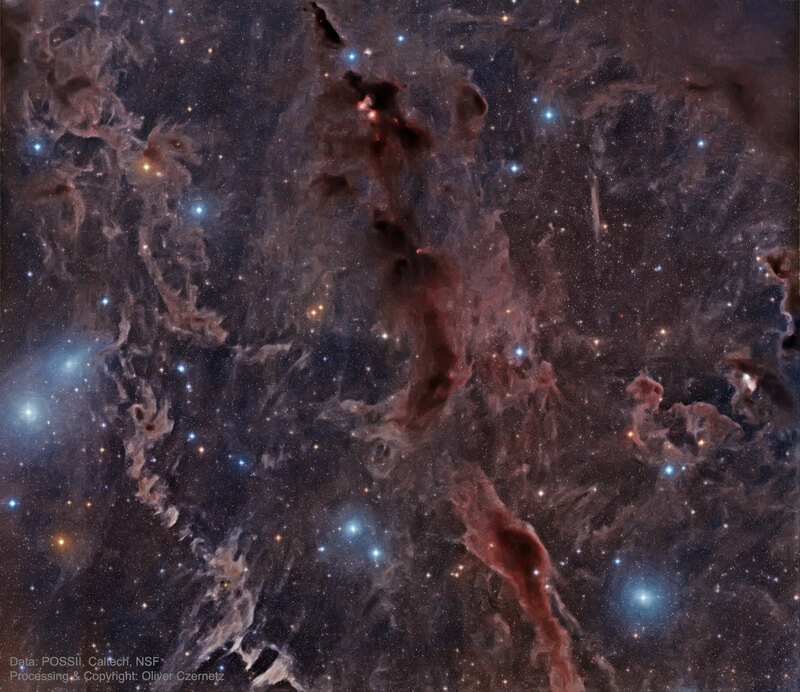 The filaments featured here can be found on the sky between the Pleiades star cluster and the California Nebula. This dust is not known not for its bright glow but for its absorption and opaqueness. Several bright stars are visible with their blue light seen reflecting off the brown dust. Other stars appear unusually red as their light barely peeks through a column of dark dust, with red the color that remains after the blue is scattered away. Yet other stars are behind dust pillars so thick they are not visible here. Although appearing serene, the scene is actually an ongoing loop of tumult and rebirth. This is because massive enough knots of gas and dust will gravitationally collapse to form new stars -- stars that both create new dust in their atmospheres and destroy old dust with their energetic light and winds.